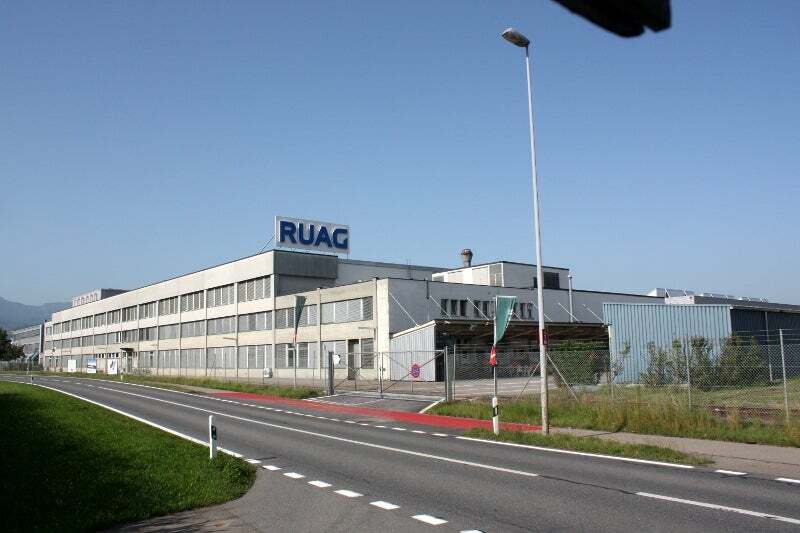 State-owned arms manufacturer RUAG’s facility in Emmen, Switzerland. Credit: WES1947. The Swiss Federal Council has decided that state-owned arms manufacturer RUAG International should be developed as an aerospace technology group and entirely privatised in the medium term. At a meeting on 15 March, the council also approved unbundling procedures for the RUAG segments that provide services to the armed forces. Over the last two decades, RUAG has developed from an armaments manufacturer into an international technology group. RUAG is currently meeting its statutory role of providing equipment. This forms only part of the company’s activities. The federal council has therefore decided to separate the company’s armed forces segment from its other business areas. On 1 January 2020, RUAG will be formed into a new holding company with two subsidiaries. With around 2,500 employees and manufacturing sites in the country, MRO Switzerland will be responsible for providing services to the armed forces. With around 6,500 employees, which includes two-thirds based overseas, RUAG International will manage the company’s other business segments. The subsidiaries will be legally and financially independent. In addition to being managed independently, the companies will operate separate IT systems. Independent directors approved by the Swiss Federal Council will form the majority of the board members of both companies. The Swiss Federal Council has reviewed development options planned by the RUAG group and supported establishing an aerospace division. Numerous options for privatisation have been submitted by the RUAG. A decision will be made by the federal council later.